Are you unhappy with the appearance of your smile? Are your teeth crooked, discolored, damaged, or even missing? Don’t worry—virtually any combination of common cosmetic problems with your smile can be corrected with a smile makeover. You can again have a smile you’ll be happy to share. A smile makeover is a highly customized cosmetic dentistry treatment. Although this page can describe it in detail, the only way to know which is right for you is to talk to a cosmetic dentist in person. Please call (614) 848-5001 or email Firouzian Dentistry to schedule a Columbus smile makeover consultation. It’s rare for people to have just one problem with their teeth. Often, there are multiple problems with a smile that people want to correct, which is why we recommend a smile makeover. During your consultation with a cosmetic dentist, you will have the opportunity to talk about your cosmetic goals. Talk about what you want your smile to look like, and we will listen. Then we will come up with not one, but several different approaches to getting the results you desire. For example, a gap in your teeth can be corrected with dental bonding, porcelain veneers, or orthodontics. We will help you understand the benefits and limitations of each option so you can pick the one that best achieves your goals and fits your budget and other restrictions. You can even do your smile makeover in stages so that you address the problems one at a time and you can decide when you’re happy with your smile. Sometimes the complaints about your smile may be more than just cosmetic. If you have functional problems with your teeth and jaw, such as TMJ, we might recommend full mouth reconstruction rather than a smile makeover. This will ensure not only that you get the smile you want, but that your results last as long as possible. 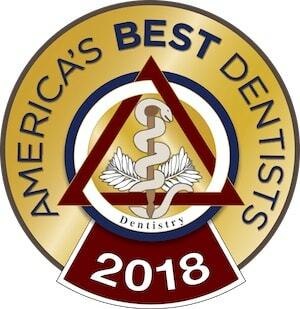 To learn about the best smile makeover in Columbus for you, please contact Firouzian Dentistry today.